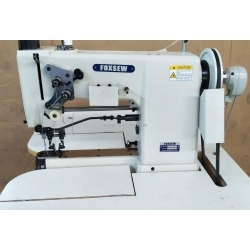 Feature: FOXSEW Double Needle Cylinder Bed Extra Heavy Duty Machine is suitable to stitch the level for leather shoes, leisure shoes and leather bags. 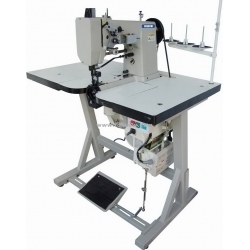 Equipped with cam, it can offer nine different stitching programmers. The speed of the motor is adjusted by electron, can be mastered flexibly. Attributing to the needle position controlled by computer and presser foot lifted automatically, production efficiency is improved greatly. 1. 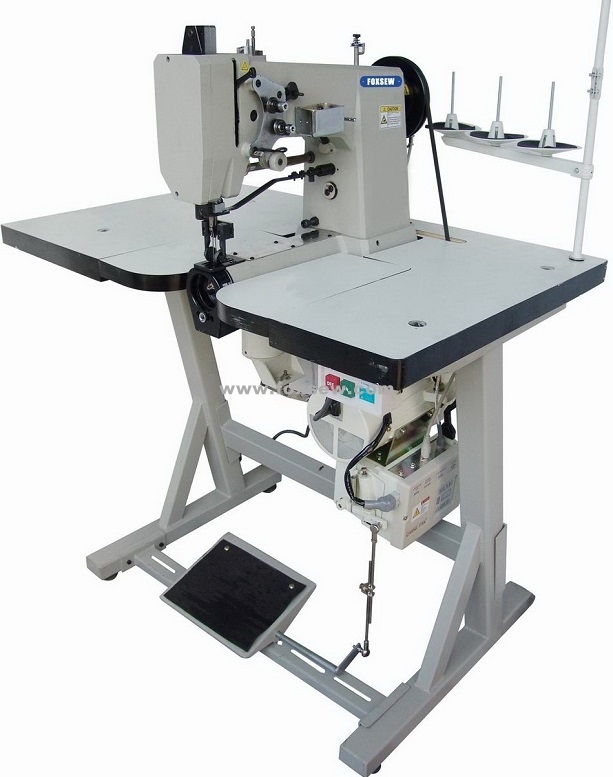 This Machine is a level machine with two needles, can offers nine different stitching programmers with one or two needle, record on the two cams 2. 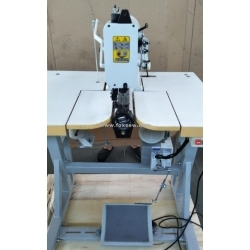 It built-in motor with electrical, work in flexible high-speed operation, the presser foot has been lifted by automatic 3. Separate function, automatic power off keeping the machine is safe.